PHOENIX – The cause of an epidemic lies inside the bathroom cabinets of many: prescription painkillers. 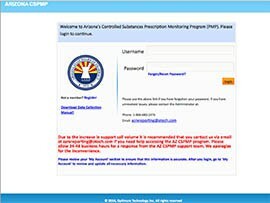 A state lawmaker who also is a family physician says a key to addressing the rampant problem of overprescription and misuse of opioid prescription medication is encouraging more medical professionals to use Arizona’s Controlled Substance Prescription Monitoring Program Database. “If we can find ways to make this more voluntary, make this something that’s very useful to prescribers in practice, I think that they are going to have no problem with using the database,” said Sen. Kelli Ward, R-Lake Havasu City, who works in an emergency department. Ward introduced two bills this session to require medical professionals contracted by the Arizona Health Care Cost Containment System to check the database before writing prescriptions and to intervene if they find a patient has received 10 or more prescriptions during a three-month period. After discussing the issue in the Senate Health and Human Services Committee, where she is vice chairwoman, Ward said she will focus instead on ways to encourage more use of the database without legislation. Ward said she first became concerned about the problem after seeing overuse of controlled substances firsthand where she works. Ward also said she’s concerned about the link between prescription drug abuse and the rise in heroin use across the country. 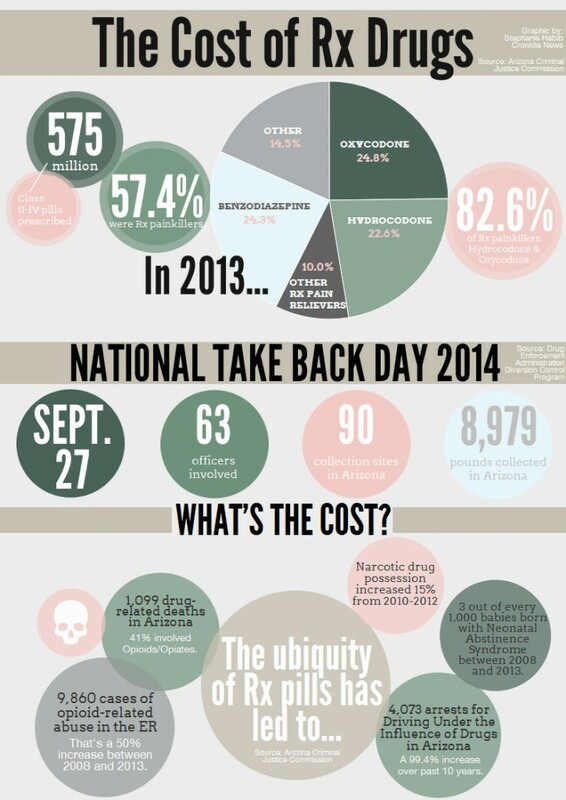 Reining in abuse of controlled substances would allow lawmakers to focus more on the problem of heroin. “Many people do start with controlled substances and then graduate to something harder like heroin,” she said. Kelly Ridgway, CEO of the Arizona Pharmacy Association, said Ward is working with her organization and others to encourage use of the online database, which stores information on patients’ prescription histories. Ward has said she will introduce a bill requiring prescribers to check the database if improvements aren’t made, Ridgway added. “We want to encourage prescribers and pharmacists to use the database that we have in place, and also just to do community education on the epidemic,” she said. Craig Norquist, an emergency physician in Scottsdale, said the database is a useful tool for prescribers. But he said logging in for each prescription could eat up a lot of time. He said it’s normal for emergency physicians to prescribe narcotic painkillers to about 25 percent of the patients who come in each day. He said the quick pace of the emergency room can lead to overprescription. Norquist said emergency physicians will check the database when they suspect drug-seeking behavior. Kelly Charbonneau, substance abuse grant coordinator for the Arizona Department of Health Services, said the Controlled Substance Prescription Monitoring Program Database has helped decrease the number of prescriptions being written. “It’s a tool at every prescriber’s disposal,” Charbonneau said. Sean Walsh, executive director of The Meadows, an addiction treatment center in Wickenburg, said people tend to abuse painkillers because of the availability. He also said misuse starts with people’s misconceptions about prescription drugs. “They say, ‘How can this be as bad as heroin or meth or cocaine, or whatever it may be, when the doctor prescribes it to my mom who’s got bad back pain?’ So there’s this ignorance around the dangers,” Walsh said. The database is undergoing improvements. A recent adjustment has made the registration process easier, taking place online rather than by mail. Ward said noted that there are pilot programs for prescription-monitoring in certain counties, with physicians receiving reports on how their prescribing compares to others’. But in the state overall only a small percentage of physicians are registered, she said. 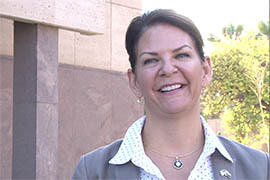 Sen. Kelli Ward, a physician from Lake Havasu City, says she is working with groups to encourage more participation in a voluntary state database tracking prescriptions for narcotics. But for now she's holding off on legislation to require it.